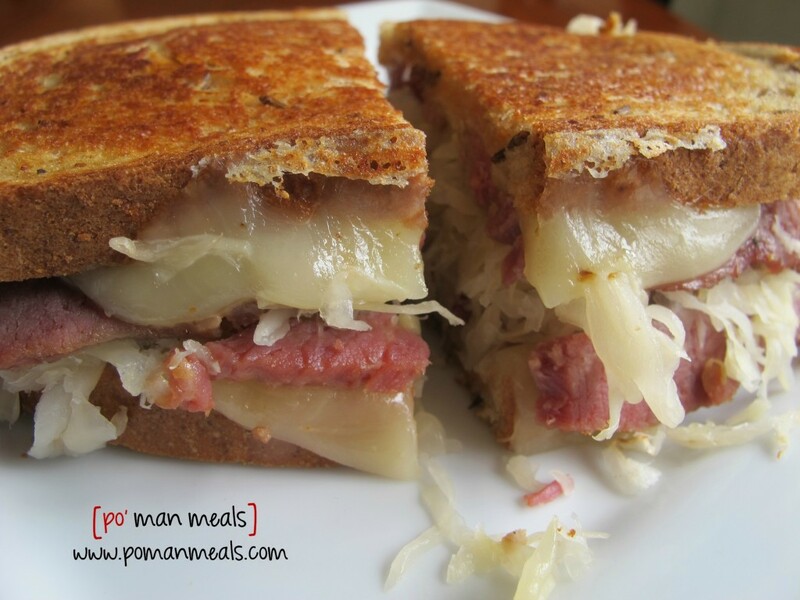 this is my favorite sandwich to make with my leftover slow cooked corned beef. i'm sorry but i can NOT eat corned beef lunch meat. 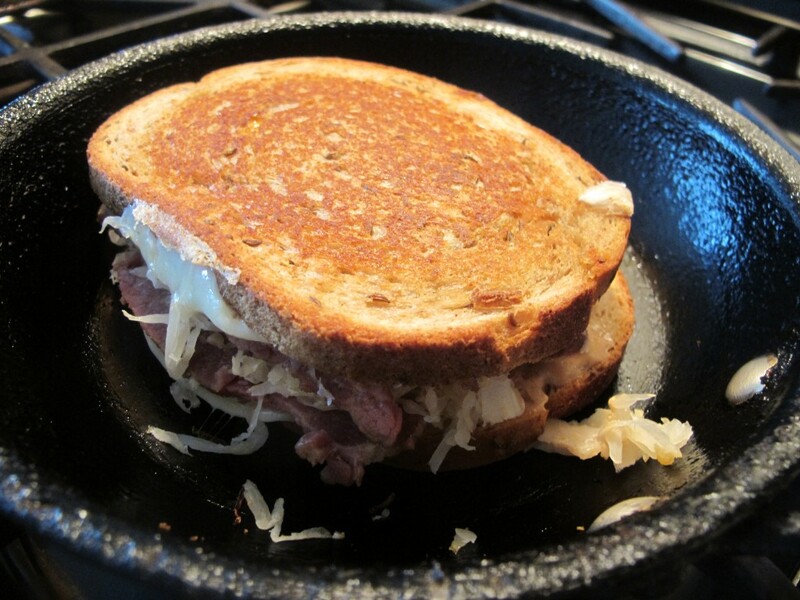 given that i grew up in cleveland and was kinda raised on fresh corned beef, it's just not the same. whenever i go to a deli and see a reuben on the menu, i have to ask. excuse me? 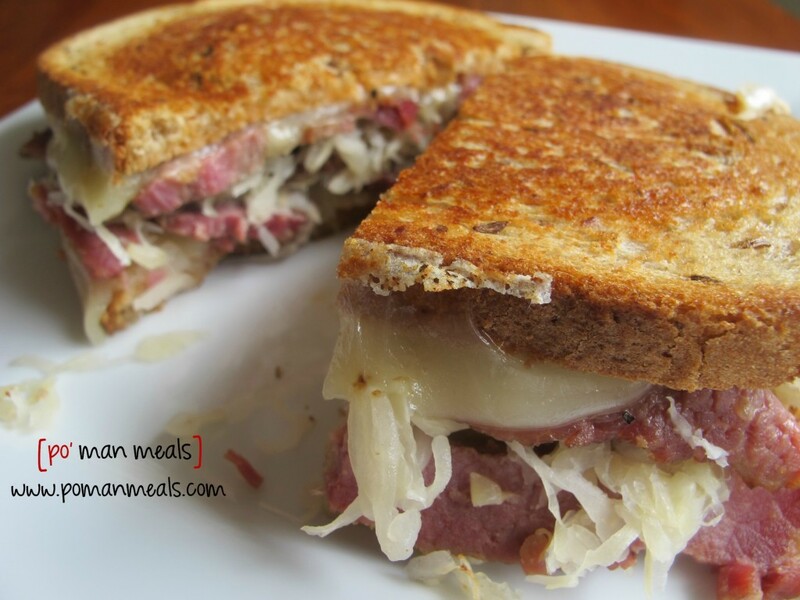 is your corned beef made fresh? if the answer is no, i will have no choice but to order something else! these sandwiches are so tender and delicious. 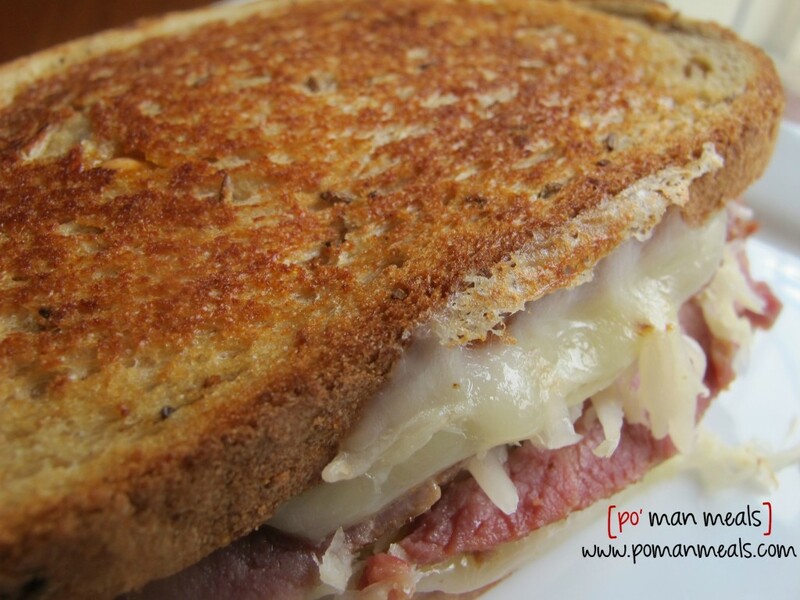 made with homemade russian dressing and fresh corned beef, you will have the best deli ever right there in your own kitchen. preheat a pan over medium high heat. 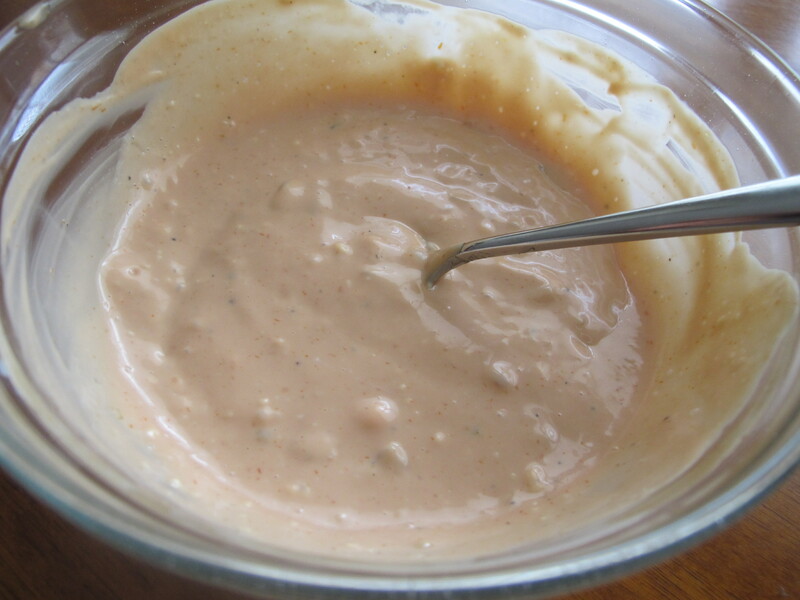 for the dressing- combine ingredients in a small bowl. 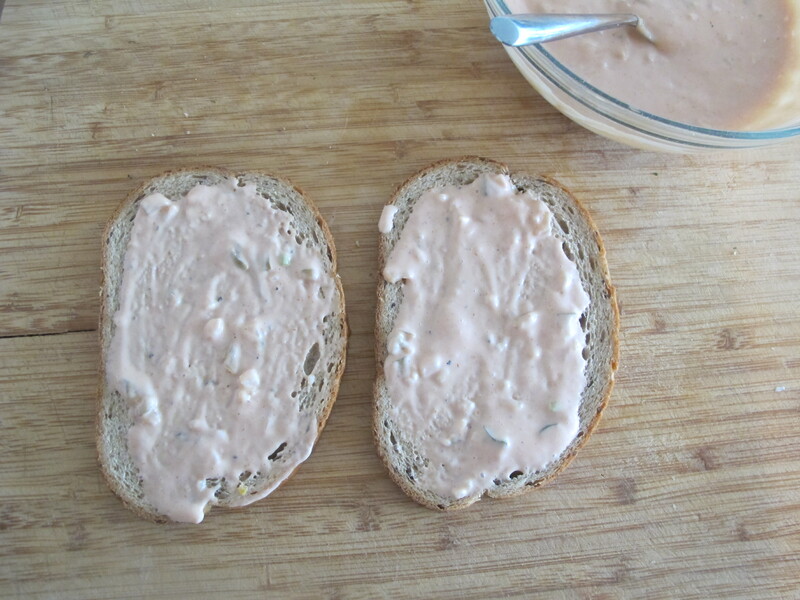 lay 2 slices of bread flat on a cutting board. 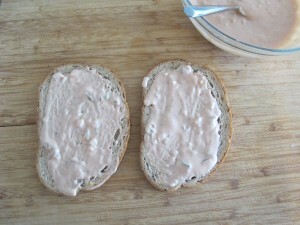 slather some of the russian dressing over the slices of bread. place the cheese over the top of the dressing. add some of the leftover slow cooked thinly sliced corned beef over the top of the cheese. 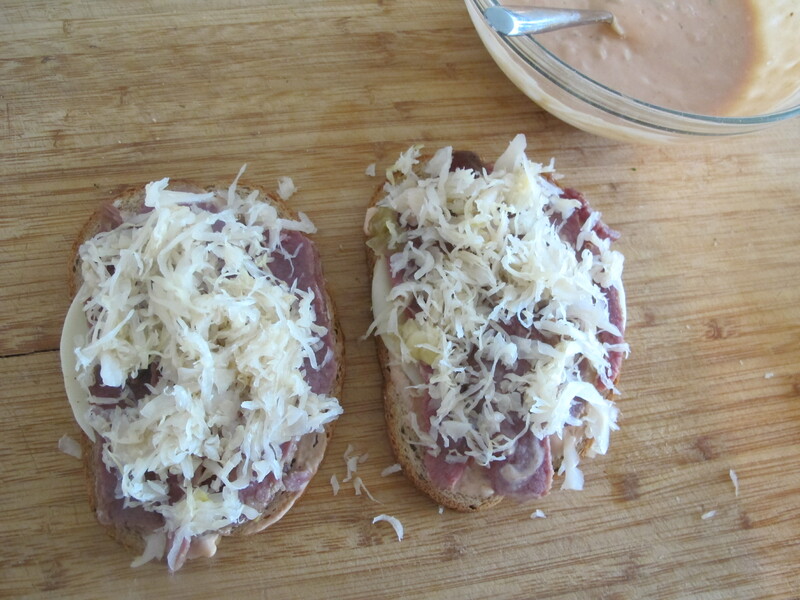 sprinkle some of the sauerkraut over the corned beef. 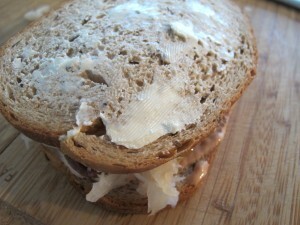 carefully raise the bread pieces together into a sandwich. butter the top bread slice with some of the softened butter. add the sandwich to the preheated pan, buttered side down. 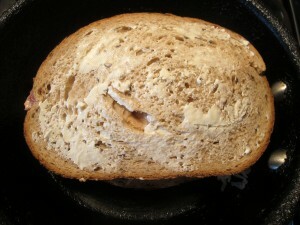 while the sandwich is in the pan, butter the top of the other slice of bread. once the bottom piece has browned, carefully flip to the other side to brown. remove the sandwich from the pan. 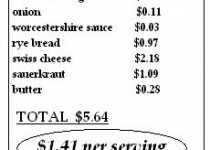 *this is a leftover recipe, the cost of the corn beef is not included. Now you have done it! 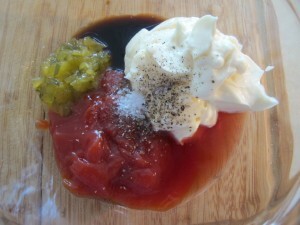 Ruebens are my all time favorite, and yours looks absolutely delicious!!! Oh so simple but yet sooooooo good. 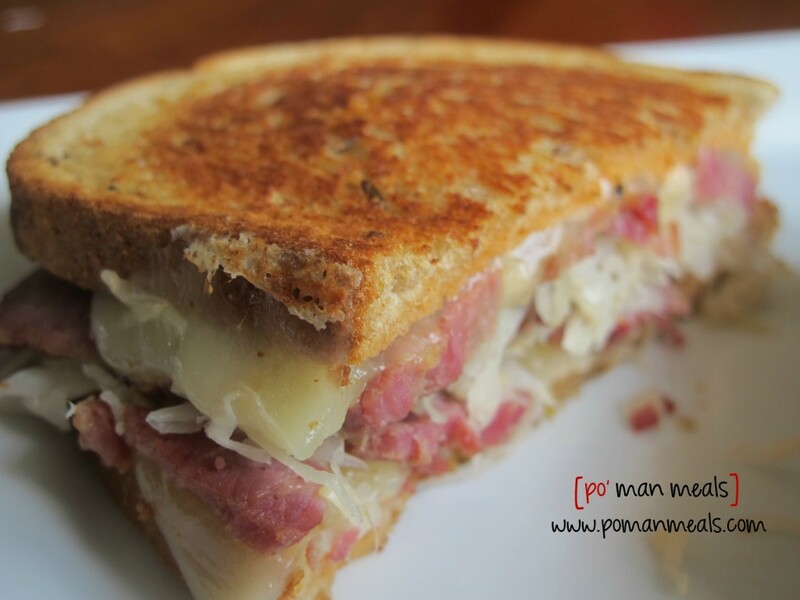 That is the Best looking Reuben I’ve ever seen and I just so happen to have home made corned beef in the freezer. Will get some rye bread and try this out tomorrow. Thank you! by the way, I just found your site today and I must tell you I am thrilled that I did. thank you so much, brenda! i am so glad that you like my website. i’m thrilled to have you here.